Hadeel Mustafa Anabtawi, founder of The Alchemist Lab, Jordan. The United Nations recent International Day of Women and Girls in Science last month came at the right time. Not just the right time for gender equality and women’s empowerment, but it was also the right time in terms of cloud computing in general. The ‘connect and compute from anywhere’ nature of the cloud computing model is supposed to allow most of us (depending on what job we do) to work from anywhere. Access to massive computing power at the cloudy backend opens up new potential for people in third-world and/or developing countries to leapfrog decades (or more) of infrastructure investment — and so play on a comparatively even playing field with the rest of the planet. Cloud has this democratization factor for developing nations – but it also applies to some first-world economies too (the already economically developed and advanced parts of the Persian Gulf are a good example), where little or no market for homegrown IT skills exists. But to get there, these developing nations need to learn code; they (the people) need to learn how to write software programs and become developers. A new initiative from zero-code app building and hosting platform company Crowd Machine and international non-profit women’s leadership organization Vital Voices is aiming to put this cloud democratization theory into practice with a program designed to showcase software coding skills for women in developing nations. Vital Voices also works in areas including economic empowerment, human rights, political and public leadership — as such, the organization is committed to backing developmental projects of this kind. The initiative brings together women from nine developing countries to learn how to build applications using Crowd Machine’s free online learning platform, Crowd Academy. The nine countries in the Women in App Development initiative include Jamaica, Egypt, United Arab Emirates, Nigeria, Lebanon, Kenya, Malaysia, Israel and Jordan. One businesswoman with zero preexisting programming skills in each country was selected to participate in the initiative in order to a) learn to code and b) encourage other women in that region to do the same. Crowd Machine claims to be able to help anyone learn how to create software applications, even if they do not know how to code. Together with Vital Voices, the organizations have created this joint initiative with the aim of encouraging women to build apps that could then be deployed for a number of specific uses, from starting up new businesses… through to improving efficiencies in existing companies… or interfacing with Internet of Things (IoT) devices, AI robotics and blockchain. According to the Measuring the Information Society 2018 Report, released by the International Telecommunication Union (ITU), computer users in developing countries have fewer information and communications technology (ICT) skills than those in developed countries. The report found that there are also fewer women who possess these skills. The findings indicate there is less potential for creating apps in these developing countries. “Software applications solve problems. Women understand problems that cut across communities and miss-out on IT-based solutions such as selling online. The more women become application engineers, the more [global] problems we will solve,” said Meg Jones, VP of community at Crowd Machine. 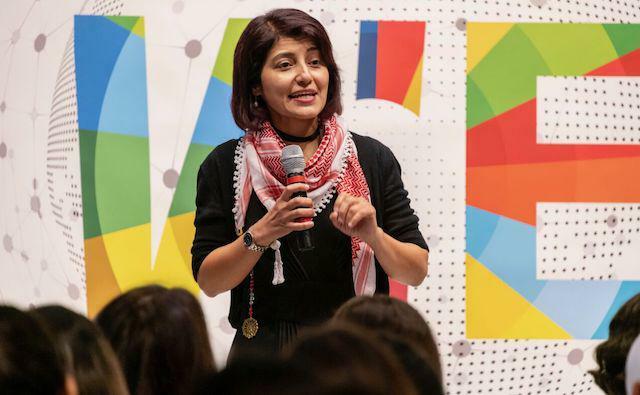 Participants helping in this initiative include Jordan-based Hadeel Mustafa Anabtawi, a social entrepreneur with a passion for empowering girls. Anabtawi is a member of the Vital Voices Global Leadership Network and was a 2018 WE Empower awardee. 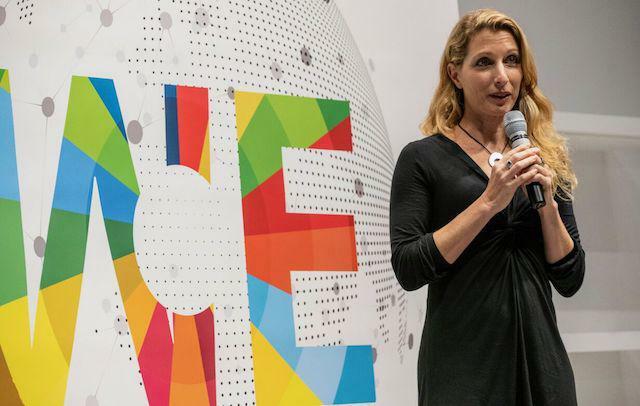 She founded The Alchemist Lab, an educational center that has offered more than 25,000 children in cities, remote villages and refugee camps the skills they need to explore themselves and the world. Hadeel has launched several initiatives, such as “Go Girls!” – a program that encourages girls to think with a STEM and scientific approach. “Now that the women selected for this initiative have the skills they need to confront the technological and coding challenges ahead of them, we’re excited to see how they embrace these skills to expand their ventures even further. And perhaps more importantly, we’re thrilled that they’ll be able to use these new skills to inspire other women in their home countries to follow their example and embrace the opportunity to learn similar coding or technological skills that can help them build their own business in a rapidly digitizing world,” said Zoe Dean-Smith, vice president, economic empowerment and entrepreneurship, Vital Voices. Although this is ‘just’ one initiative working with ‘just’ one group of women from ‘just’ nine countries, it is arguably well positioned to be representative of many of the positive efforts now underway that aim to redress the gender imbalance in software coding. The fact that it focuses on women in developing nations too is obviously a bonus. Software application development is all about problem solving and building algorithmic logic. Male brains (and those of neutral gender individuals, plus others across the gender spectrum) can only solve and build to a limited binary endpoint. Future technology development in a world without a more equal balance of female software programmers will never fulfill its full potential. Dr Shimrit Perkol-Finkel, co-founder and CEO of ECOncrete Tech Ltd, Israel.